UK holidaymakers could be missing out on more than 60 direct flight routes thanks to Air Passenger Duty (APD), a report suggests. 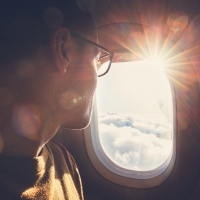 Research commissioned by trade body Airlines UK identified 66 potential new connections, ranging from domestic routes to long-haul flights, which could be more viable if the duty tax was abolished. The connections include 20 domestic, 31 short-haul (non-UK) routes, and 15 long-haul flights, including routes such as Edinburgh to Guernsey, Belfast to Madrid, and Bristol to Dubai. The study, carried out by consultancy Frontier Economics, also found that several routes dropped by airlines for financial reasons in recent years could have been viable if APD had been abolished. APD constitutes as much as half the price of an off-peak short-haul ticket (e.g. from the UK to Poland) and 44% of the price of an off-peak long-haul ticket (from the UK to Israel), according to the study. The rate of APD for long-haul passengers is £78 in economy and £156 in premium seats, with short-haul trips charged at £13 in economy and £26 in premium. Airlines UK chief executive Tim Alderslade urged the Government to "get rid of this damaging tax". He claimed levying the "world's highest rate of tax on air travel" is incompatible with creating the right conditions for post-Brexit economic success. He went on: "APD is putting the brake on the UK's economic growth with dozens of potential services - including long-haul connections outside of London - unviable under current conditions. "The removal of APD will leave airlines in a position to respond with more routes, greater frequency and better connectivity for the whole of the UK." EasyJet chief executive Johan Lundgren agreed that removing APD would allow airlines to provide "more routes and lower fares", while Virgin Atlantic boss Craig Kreeger called on the Government to show it is "serious about helping us to connect to international markets". No duty is paid on direct long-haul flights from Northern Ireland or any departures from the Scottish Highlands and Islands region. If you're setting off on holiday from any of these UK airports, make sure you have travel insurance that meets your needs by checking out our great value single trip travel insurance.